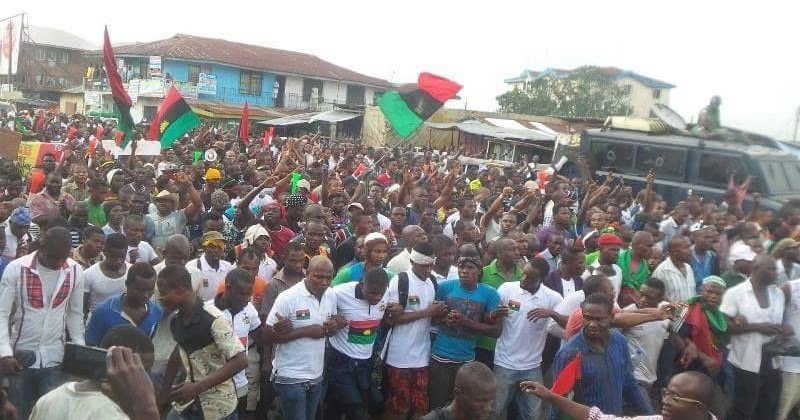 It is with absolute humility and loyalty to IPOB Directorate and our principal officers serving in that capacity that I want to write this open letter which I want people close to our leaders to make it reach persons like Mazi Uche Mefor, Mazi Uchenna Asiegbu, Dr Clifford Chukwuemeka Iroanya, Bar Emma Nmezu and Comrade Emma Powerful. Sirs, I decided to make this letter an open one because I have severally inboxed most of you about my observation on critical issue surrounding our struggle and there is no response from any of you. 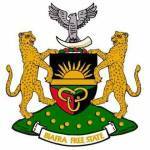 Sirs, I am a strong a member and a prolific writer of Family Writers and has contributed immensely towards the quest for Biafra restoration. Sirs, I want IPOB Directorate to examine the performance of our lawyers representing our ebullient leader Mazi Nnamdi Kanu De Great in the federal High court Abuja, in the persons of Nze Chuks Muoma SAN and Bar Ifeanyi Ejiofor who have wasted 1 whole year only denying charges somersault of government of Nigeria and have never mentioned that Nnamdi Kanu want Biafra out of Nigeria. I still remember that it was in the time of Bar Vincent Obetta that it was mentioned last that Nnamdi Kanu is after self-determination when Bar Obetta was arguing with Mr. Mohammed Diri SAN (DPP) in Nigeria ministry of Justice. 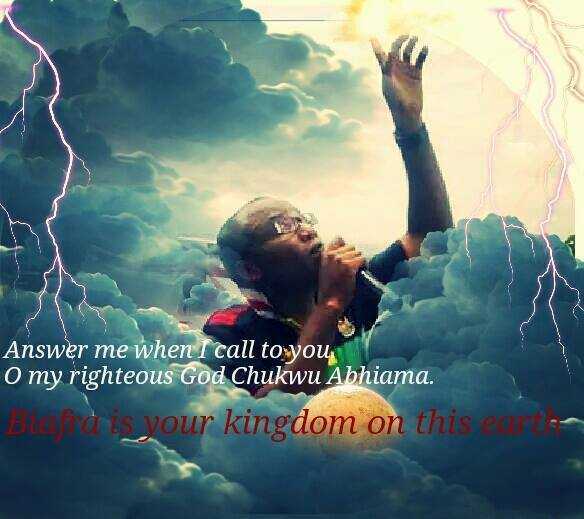 Since Bar Ifeanyi Ejiofor came into the struggle January 2016 and few months later when Nze Chuks Muoma SAN joined him, it is not on record anywhere that these lawyers which Buhari and his juju men has charmed has ever mentioned in the court before observers that Nnamdi Kanu only wanted every part of Biafra out of Nigeria. 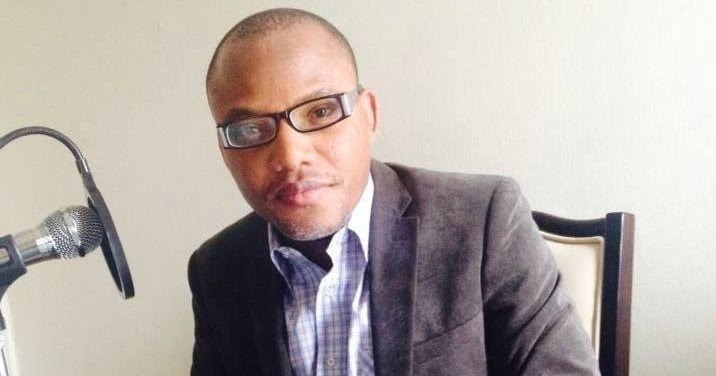 Sirs, I hereby suggest that if Nze Chuks Muoma SAN and Ifeanyi Ejiofor fail to tell the world before the court that Nnamdi Kanu did not commit any other offence other than demand for Biafra to leave Nigeria federation, let IPOB sack them immediately because it is either they are charmed or already compromised. Let nobody be surprised that Hausa/Fulani and their Yoruba partner in crime can do any ritual or sacrifice to charm our lawyers or even try to charm Nnamdi Kanu himself but no charm or ritual can catch Nnamdi Kanu anymore. I want Bar Emma Nmezu and Dr Clifford Chukwuemeka Iroanya to tell these lawyers to tell the court and the observers that Nnamdi Kanu is demanding free Biafra out of Nigeria in line with United Nation declaration of 2007 which provided the indigenous people right to self-determination. 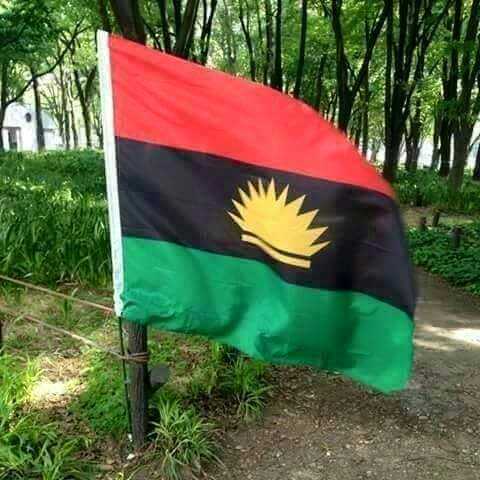 If our lawyers flood the court with evidences that we want Biafra, then let Nigeria also flood the court with their own evidences of treason which they said Nnamdi Kanu committed. 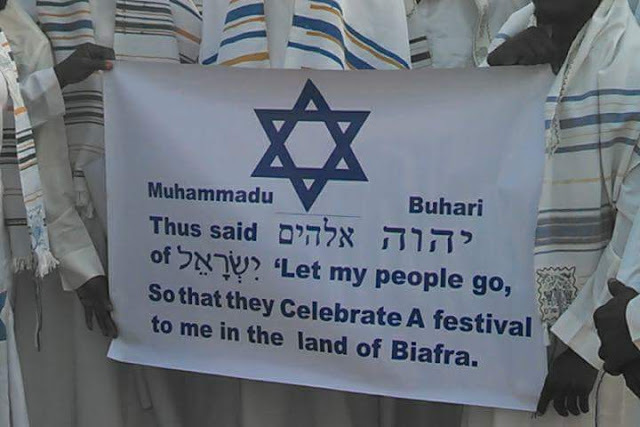 By that time, Biafra legitimacy will be discussed in the court. 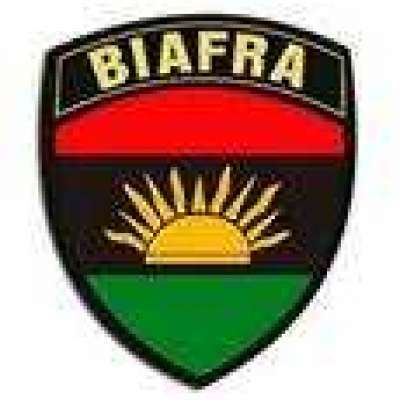 Nobody will talk about treason and terrorism any more but Biafra and its legitimacy. Nigeria govt is talking about treason and terrorism because our lawyers have not mentioned Biafra as only what Nnamdi Kanu want. Sirs, I am of opinion that if Nze Chuks Muoma SAN, Bar Ifeanyi Ejiofor and their legal team fail to do this come January 10, 2017, let IPOB Directorate sack them because I am already sensing that a spell had been casted on these lawyers. How can a defense counsel waste 1 whole year only denying charges, counter-charges and amended charges of the plaintiff without telling the court what exactly the accused said he did whether the court accept it or not? If they are afraid to mention that Nnamdi Kanu want Biafra, then they do not deserve to represent IPOB in that court. Sirs, as much as I know in judicial process, an accused person or his defense counsel reserve the right to say what exactly he or she did after denying the accusation of the plaintiff. 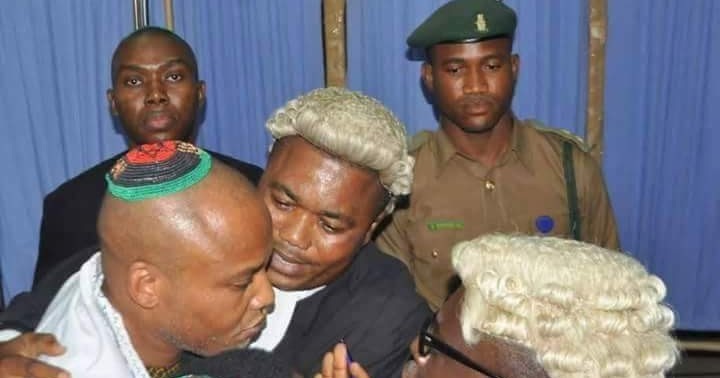 Why then has Nze Chuks Muoma SAN and Bar Ifeanyi Ejiofor never mentioned before the court that the only thing that Nnamdi Kanu did is his demand for Biafra? IPOB Directorate should at this point in time clearly spell out what these lawyers should say unless Buhari's charms have arrested all of us. If those lawyers fail to follow the spelt guidelines, then IPOB will have no other business than to sack them on the ground of being intimidated, compromised or charmed. Our lawyers should be ashamed of themselves because in judicial procedure, a client is only expected to be seen sited in the dock and not to be heard in the court unless the trial judge make special demand to hear from the accused. So, for Nnamdi Kanu to be heard roaring against injustice on December 13, 2016 meant he has lost confidence in his lawyers if we do not know. If IPOB Directorate fails to summon these lawyers and examine them now, we risk serious damage as they continue sitting quiet as if they are intimidated in the court.